Here is my round up of South Sound Nutcracker Performances for 2018. This is a complete list, whether you’re looking for a fancy, big city production, or a more affordable show. Feel free to share this list with all the little ballet lovers you know, and do let me know if you hear of a show I missed, or want to weigh in on your fav! The complete list continues just below. If you know this one won’t work for you, just scroll down to the South Sound listings! The most recognized area Nutcracker is the production put on by the Pacific Northwest Ballet in Seattle. This version is now the traditional George Balanchine production (not the Maurice Sendak one). It is undoubtedly the most expensive Nutcracker. Is it worth it? I think that really depends on the age of your kiddos, your budget, and what you’re after in your Nutcracker experience. It is truly beautiful, professionally danced, and there are lovely photo ops. and special extras. If your children love ballet and you have the budget, I would probably do this one at least once. I would probably not take very young children or anyone seeing the Nutcracker for the very first time to this one. But I’m cheap…..let me know if you have different thoughts! We did also find discount tickets to the PNB Nutcracker on Goldstar. If that just isn’t in your budget, or you don’t want to drive to Seattle, not to fear! We’ve found a dozen other Nutcracker options. There is truly one for every budget and one near you no matter what part of the South Sound you call home! At Renton Ikea Performing Arts Center, Saturday/Sunday, December 14-16th. Auburn Performing Arts Center December 7-9.,Meydenbauer Center in Bellevue November 30-December 2, Tickets are $40-$45. The Auburn and Bellevue locations offer a more kid-friendly one hour performance on Dec. 9th. My friend Christy has attended this production before and she raved about it. She thought the sets and performers were very professional, and the ballerinas came out after the show to mingle and pose for pictures. Last year, we also saw this one on Groupon. Shortened hour long productions and full length productions at the Auburn Performing Arts Center, Saturday/Sunday, December 8-9. Tickets are $40-$45. We did find a deal to this Nutcracker on Groupon. If that offer doesn’t work for you, you can also buy tickets here. You can see either the hour-long or full-length production at the Meydenbauer Center on two weekends: November 30-December 2. Tickets are $40-$55. Buy tickets here. This studio presents a shorter holiday show called Nutcracker Highlights. From Tiffany– This is a very kid-friendly and well done show; I highly recommend this for younger kids or those who just want an introduction. Time/dates TBA. The show is approximately 90 minutes long and will be presented at Columbia Junior High PAC on Friday, December 21, 7:30pm and Saturday, December 22nd, 2:00pm and 7:30pm. Tickets are $15 in advance and $20 at the door. Children ages 3 and up must have a ticket. Purchase tickets at above link. DTNW’s ballet is told as a bedtime story, and is ideal for families. Held at the Mt. Tahoma Auditorium. Tickets are $22-$26/adults, $11-$13/students and seniors. Performances will be held on Saturday, December 15th at 2:30pm and 7:00pm and Sunday, December 16th at 4:00pm. Buy tickets here. Performs at the Washington Center for the Performing Arts Shows on weekends December 7-16, with various show times. Ticket prices range depending on seats from $14-$35, plus a $3 Washington Center facility fee. This production features over 200 dancers! Buy tickets here. 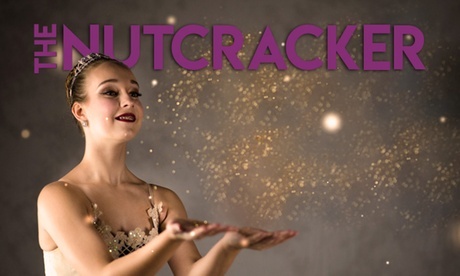 Presents The Nutcracker at Kenneth J Minnaert Center for the Arts, December 9-16. Ticket prices are $19-$24. Buy tickets. In honor of the 10th year anniversary, Thursday the 13th will feature a “Nutty” Nutcracker. There is also a Clara’s Nutcracker Party before select shows. That includes crafts and photo ops for kids and requires an additional $12 ticket (parents do not have to buy a ticket). Get tickets here. Performs the longest running Nutcracker on the Peninsula, November 30, December 1st and 2nd at Bremerton High School. Tickets are $14-$66. On November 2nd, there is a Nutcracker Tea, which is $42 for both the tea and the performance. Buy tickets here at the box office. If you decide to take in a performance, you should definitely read the book to your children first. Children will be so much more engaged if they understand what is happening. If your kiddos are way too wiggly to even consider a ballet outing, but you’d still like that fancy dress-up photo, you might try the Seymour Conservatory which makes for a festive and ornate looking pic this time of year. Know a great show I missed? Think my post wasn’t on pointe? Let me know! Keep in mind that this list only includes Nutcracker performances. There are many other holiday performances, plus tons of other holiday events. You’ll find a complete list in our South Sound holiday events guide (coming soon)! If you’ve just stumbled onto this little site, I hope you’ll be back! I write just for South Sound families. While you’re here, why not like SFM on Facebook, Instagram, or Twitter, or (My favorite suggestion-) subscribe to our weekly email. It comes out on Thursday, and it includes every family friendly event going on around the South Sound over the weekend. It’s awesome, and it’s totally free! That would sure make sense. I’ll try to find out more! The nutcracker at pantages. Do the ballerinas come out after show? N do they have a snow fall just like the one in Seattle? Im ust curious as I’ve never been to a show of the nutcracker. I’m planning on taking my grandaughter who I’m raising.she is 11 yrs oldl n loves ballet. This list is missing an amazing, full-scale Nutcracker production by Ensemble Ballet Theatre. December 1st, 2nd, and 3rd at the Renton IKEA Performing arts Center. More info at http://www.ebtballet.org!